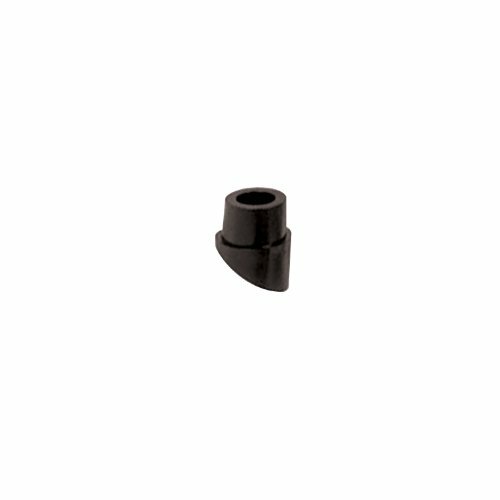 This item only works for flat base, if you have slant base, please choose rake shoes. 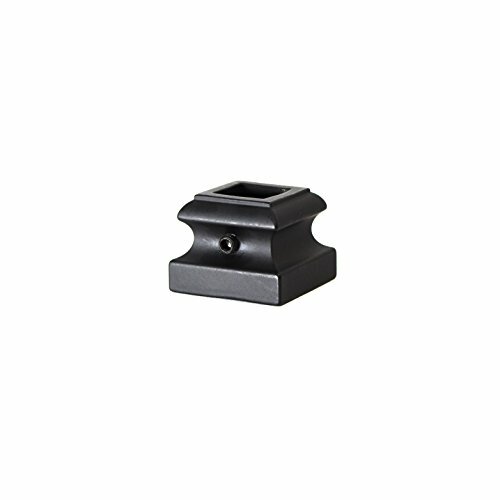 The opening for this item is 1/2" and it is supposed to be used for 1/2" square balusters only. Top quality. 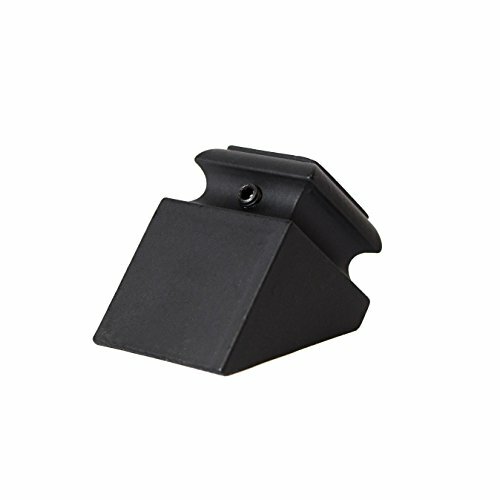 A durable maintenance free powder coated FLAT SHOE in satin black finish. Made from hollow forged iron made with quality craftsmanship, easy to cut and install. Represent the best in design and allow you to bring a classic sense of style to your home. Seller has served US for more than 20 years. 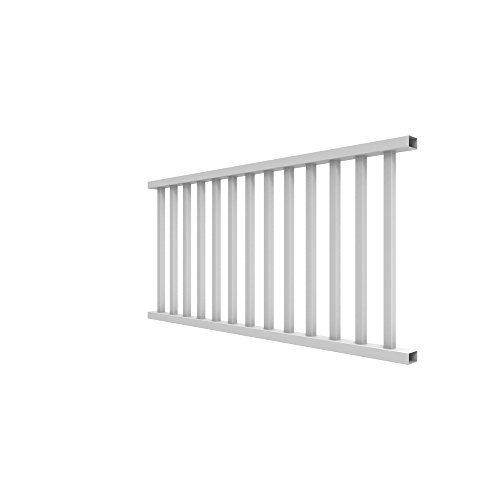 Maintenance-free, durable powder-coated aluminum deck railing balusters. 32 in x 3/4 in round. Use 32 in for 42 in rail Height. Sold in 5-packs. 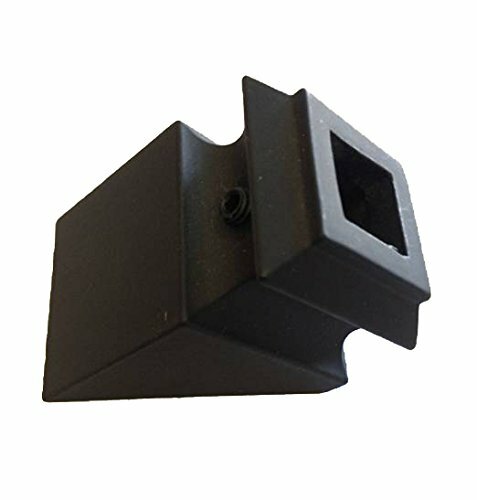 Easy installation with our multi purpose connectors sold separately. Set of fifteen high quality balusters. All 15 in this set are the plain standard style. Made of a very sturdy iron that will not flex despite lightweight, hollow design for easy customization. Can be combined with baluster shoes, available with the same color options. 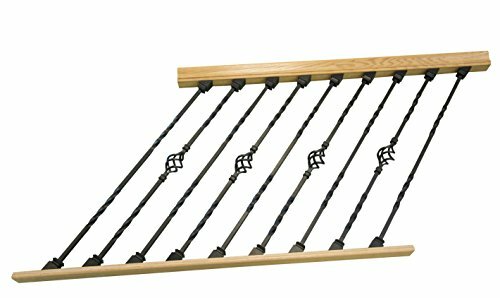 Deckorators baluster, traditional, 1 in width, 32 in length, 1/2 in thickness, fasteners: color matched screws, suitable for use with: wood or composite railing systems, aluminum, powder coated, Black. Deckorators traditional baluster provide classic geometric styling with straight lines. Durable, powder-coated, and low maintenance. Easy to install using provided screws. Lifetime limited warranty. No. 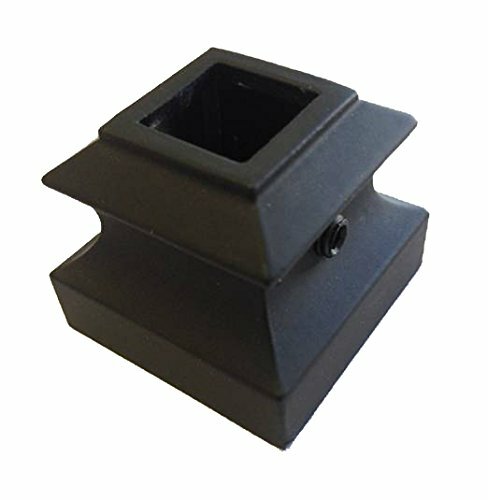 74733: style: traditional, common dimension: 32", ACTUAL dimension: 32", material: aluminum, color: Black, PKG Qty: 10, package type: clamshell no. 74734: style: traditional, common dimension: 32", ACTUAL dimension: 32", material: aluminum, color: bronze, PKG Qty: 10, package type: clamshell. Add a classic touch to your staircase with our decorative baluster spindles. Balusters connect the handrail to the staircase proper, providing both safety and refinement. The oil rubbed finish is durable and easy to maintain; it will remain strong and glossy for years without much effort. 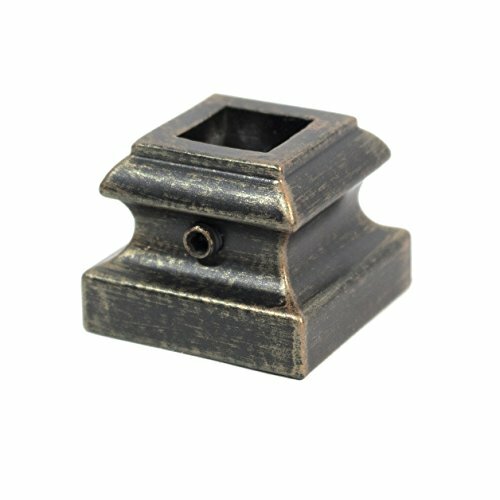 The bronze design will match the decor of your room and the durability of the cast iron will last a long time without needing to be replaced. 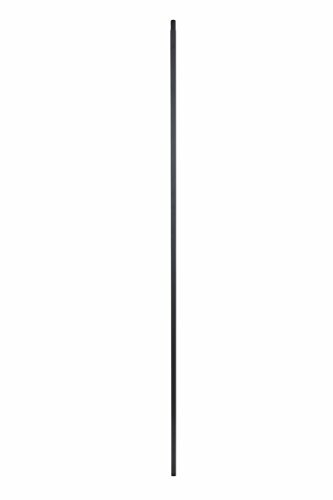 For that perfect extra touch of class, pair our baluster with ALEKO brand baluster shoes, sold separately. Easy to install and beautiful, ALEKO brand balusters and shoes make a perfect addition to any home. Product specifications: Color: Bronze; 44 inches long; Twist knuckle design; Lot of 10. Set of ten high quality baluster shoes. 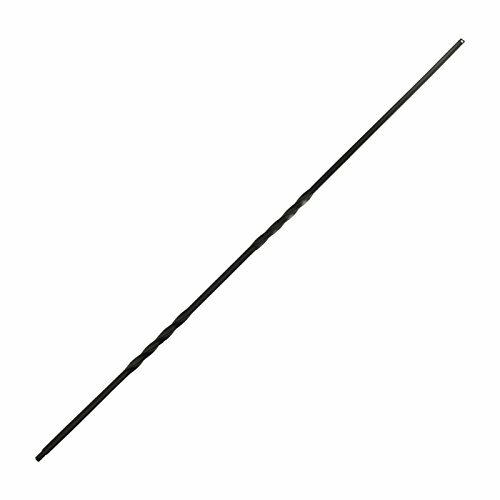 The in-place screw can be tightened to each baluster by using a 2.5mm hex key/Allen wrench (not included). Add a classic touch to your staircase with our decorative baluster spindles. Balusters connect the handrail to the staircase proper, providing both safety and refinement. The powder coated finish is durable and easy to maintain; it will remain strong and glossy for years without much effort. The black metal design will match the decor of your room and the durability of the cast iron will last a long time without needing to be replaced. 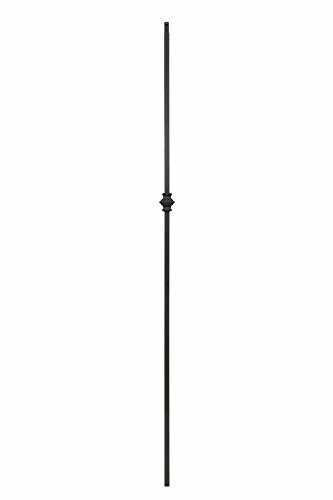 For that perfect extra touch of class, pair our baluster with ALEKO brand baluster shoes, sold separately. Easy to install and beautiful, ALEKO brand balusters and shoes make a perfect addition to any home. 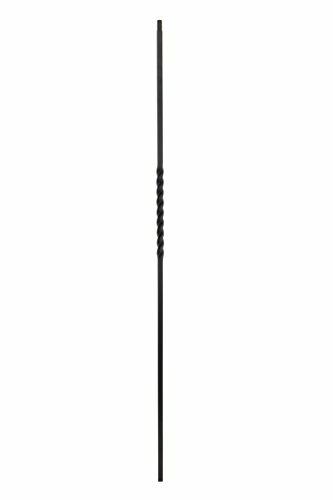 Product specifications: Color: Black; 44 inches long; Single Twist design; Lot of 10. The DIY Stair Rail section (comes in 4', 6', 7' 8") is easy to assemble and install to give your staircase a brand new look. 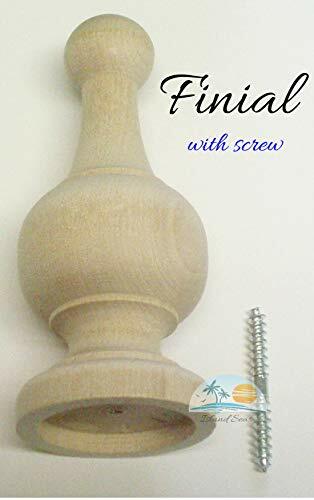 Each kit includes an unfinished oak handrail (6010 profile) and a Shoe Rail, double twist and single basket metal balusters (amount depends on length ordered), and metal shoes. It is important to choose a Rake or Level section as Level sections are taller. Metal shoes come in either flat or raked depending on what you ordered. Install your own stair railing with the DIY Stair Rail kit. Includes unfinished oak Handrail and Shoe Rail with black Metal balusters and Rake shoes. Balusters are installed 4 1/2 apart. Space between Balusters is 3 1/2. Allen wrench and screws included. Includes unfinished oak Handrail and Shoe Rail with black Metal balusters and Level shoes. Top quality. A durable maintenance free powder coated in Satin Black, Oil Rubbed Copper and Antique Bronze finish. Set of ten high quality balusters. All 10 in this set are the single basket design with two twists, with one twist above the basket and one below. Made of a very sturdy iron that will not flex despite lightweight, hollow design for easy customization. Can be combined with other 44" balusters of different styles as well as baluster shoes, available with the same color options. Set of ten high quality balusters. All 10 in this set are the single rectangle design. Made of a very sturdy iron that will not flex despite lightweight, hollow design for easy customization. Can be combined with other 44" balusters of different styles as well as baluster shoes, available with the same color options. Add a classic touch to your staircase with our decorative baluster spindles. Balusters connect the handrail to the staircase proper, providing both safety and refinement. The powder coated finish is durable and easy to maintain; it will remain strong and glossy for years without much effort. The black metal design will match the decor of your room and the durability of the cast iron will last a long time without needing to be replaced. 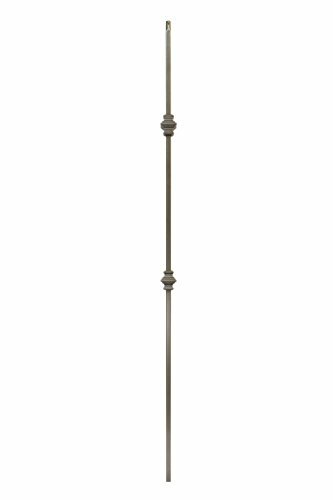 For that perfect extra touch of class, pair our baluster with ALEKO brand baluster shoes, sold separately. 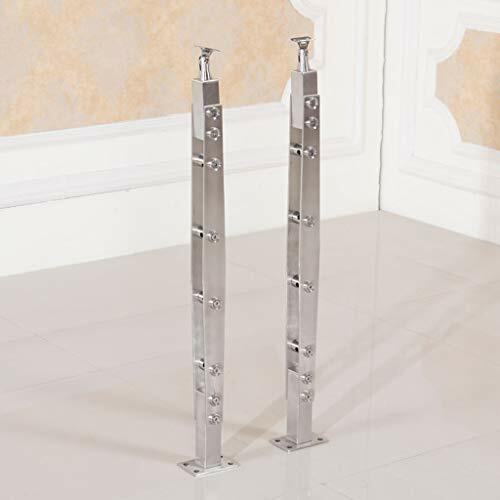 Easy to install and beautiful, ALEKO brand balusters and shoes make a perfect addition to any home. 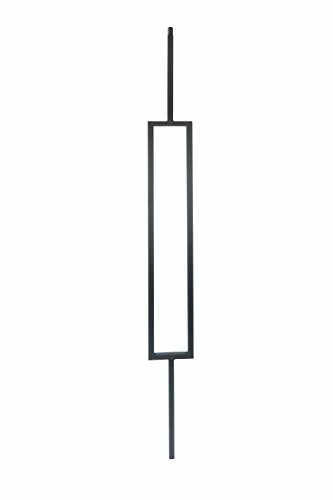 Product specifications: Color: Black; 44 inches long; Double Twist design; Lot of 10. Set of ten high quality balusters. All 10 in this set are the double knuckle design. Made of a very sturdy iron that will not flex despite lightweight, hollow design for easy customization. Can be combined with other 44" balusters of different styles as well as baluster shoes, available with the same color options. Set of ten high quality balusters. All 10 in this set are the single knuckle design. Made of a very sturdy iron that will not flex despite lightweight, hollow design for easy customization. Can be combined with other 44" balusters of different styles as well as baluster shoes, available with the same color options. Set of fifteen high quality balusters. All 15 in this set are the single twist design. Made of a very sturdy iron that will not flex despite lightweight, hollow design for easy customization. Can be combined with other 44" balusters of different styles as well as baluster shoes, available with the same color options. About us We hope you enjoy a comfortable shopping experience in our store! Product Name: bathroom shower grab bars/ Staircase Handrail Material: metal Color: sliver Size: Diameter Length: 850mm available. Style: Industrial style Package Includes: 1 x grab bar handware Note: Please allow 1-2cm differs due to manual measurement. I am glad that you can buy our products. If you have any questions about the products, please contact us by email. We will solve any problems for you. Due to the difference in shooting environment and display, there may be some chromatic aberration. Please understand. 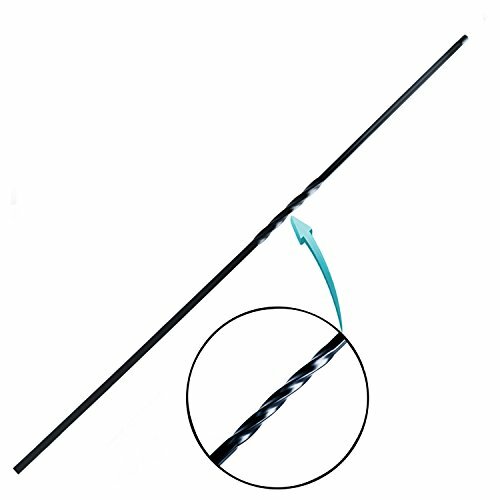 Suitable for decorating balconies, swimming pools, stairs, etc. 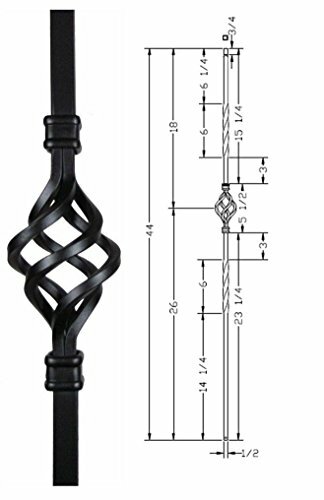 Gothic Series features a unique European styled wrought iron baluster that is a nice departure from the standard offerings in many homes today. Gothic series of iron balusters are heavier than the other series and have a hammered texture that shows they are hand made by craftsman with attention to detail. 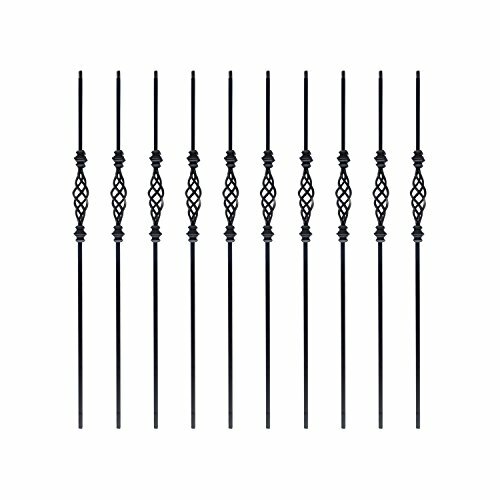 Gothic wrought iron balusters are available in several finishes to meet the demands of architects, designers and home owners. Gothic balusters can work with most home styles, but they are best suited for larger homes with a European theme. Attention: The color in the photo may differ slightly from the color when it is seen live. Hollow design for easily cutting to required height. 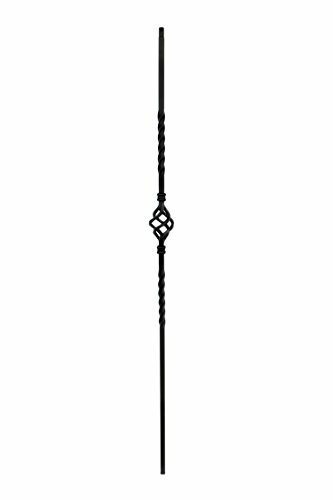 Combines well with other baluster styles. Finial with hardware. 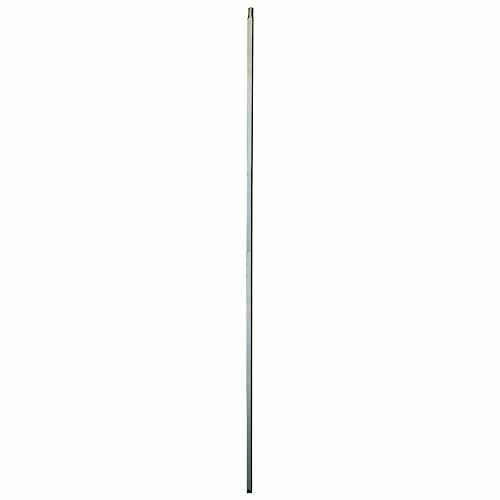 Use on Wood Rod or on top of wood post Diameter: 1 7/8" Projection: 4 3/8" Unfinished Ready for Stain or Paint to match your d cor..... Please Note: All returns could be subject to a Restocking fee of up to 20%. These decorative balusters offer a classic look, which is why more people choose the twist series iron baluster, over any other series of wrought iron balusters. They also offer a universal application, and are very affordable. The twist series are most popular in hollow bar balusters, making installation a breeze, while retaining strength and beauty of the iron finish. 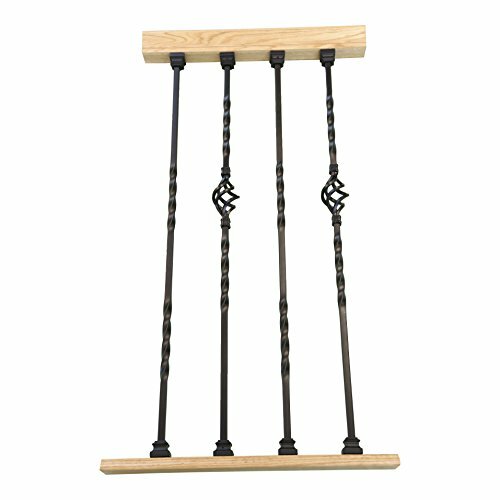 You can make your home unique using twist series balusters by creating a unique pattern to complement your space and shows your creativity. 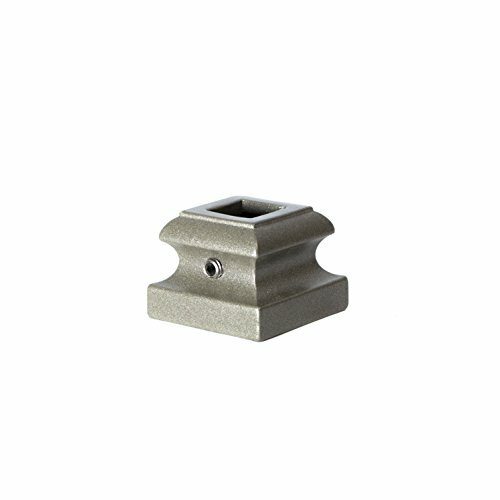 Creative stair parts iron plain smooth matte nickel balusters are the decorative vertical members of a balustrade system. 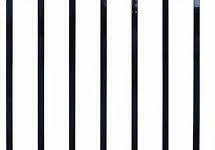 Our Creative Stair Parts iron balusters offer an extensive assortment of popular styles. From craftsman and traditional to art deco styles, you are sure to find a design to breathe new life into your stairway.